Pomegranates symbolise fertility and fecundity. With their gorgeous red skins and array of ruby seeds they represent abundance and fruitfulness. Since ancient times pomegranates have represented the fertility of the land and have been depicted in the hands of goddesses and mothers in art. Pomegranates are a celebration of a woman’s capacity to create and give life. A symbol of our fertile and creative selves. Moonstone named for it’s beautiful milky grey colour reflecting the light of the moon. This stone is the ultimate woman’s stone: it’s about everything female. Linked to the monthly cycle and reproductive system moonstone represents fertility and ease with your body. It soothes anxiety, calms and relaxes. Moonstone puts you in touch with your female creative power and beauty. Pomegranates symbolise fertility, creativity and fruitfulness. 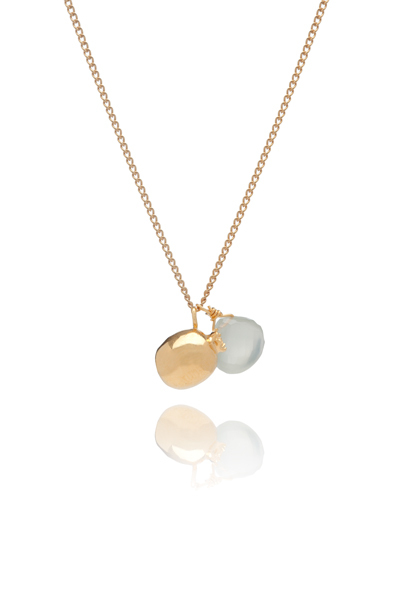 Moonstone is the woman’s stone, symbolising the feminine and woman’s creative power. Use this talisman to enhance your creativity and fertility. Celebrate your capacity to give birth whether to a project or a baby. The CREATIVITY necklace is about fertility, creativity and the life giving power of women.